It’s a common sense lesson in history. We don’t need expensive government schemes to “create or save” jobs, we need to get government off the backs of the taxpayers and small businesses who do the real job creating. I’ve been dedicated to serving as a lawyer and community volunteer since my wife and I first made our home in Carlisle as newlyweds. We’ve been blessed and I’ve always worked hard to give back. I’m a political outsider, but I know the people of the 199th district and what we stand for, and I'm making a difference for us as State Representative. Pennsylvania is an exceptional place, and this community is an exceptional place. Our people are self-reliant and motivated. When we restore our freedom and keep government out of our way, we will excel and prosper. I started and ran my own business law firm for eight years and was a partner in another local firm for seven years before that, so I know firsthand the pressure of meeting payrolls and budgets and the confusing burdens of taxes and red tape. In my practice I had the privilege of helping hundreds of business people, farmers, and nonprofit organizations build and grow their own successful enterprises. I've also shared my real world business knowledge and experience with the upcoming generation of leaders and entrepreneurs as an Adjunct Instructor of Management and Business at Messiah College, where I taught courses in economics, personal finance, and business law. Over the years, I’ve volunteered my legal and business expertise to assist numerous community groups, including Cumberland Valley Habitat for Humanity, Carlisle C.A.R.E.S., Cumberland Valley Christian Radio, and the United Methodist Stewardship Foundation of Central Pennsylvania. I retain advisory “of counsel” status with the Cumberland County law firm of Irwin & McKnight, P.C. and am a member of the Christian Legal Society. I founded and served as first president of the Estate Planning Council of Cumberland County. 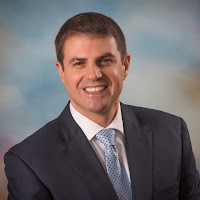 I served as President of the Downtown Carlisle Association, Carlisle Jaycees, and Carlisle Early Education Center, and as Treasurer of the Greater Carlisle Area Chamber of Commerce, Christian Services Counseling Center, and SonPower Ministries. I also served on the Boards of Birthright of Carlisle, Salvation Army of Carlisle, Greater Carlisle Area Council for Excellence, and One Heart Ministries. I was a Certified Lay Speaker and a Consultant to the United Methodist Stewardship Foundation of the Susquehanna Conference, and I worship at the New Covenant Fellowship PCA Church. I’m a 1983 graduate of the Penn State University, with a Bachelor of Science in Agricultural Economics and Rural Sociology (Resource Economics Option), and a 1987 graduate of the Penn State Dickinson School of Law (Woolsack Honor Society). My first book, The Believer's Guide to Legal Issues (Living Ink Books), was published in 2008. My second book, They've Crossed the Line: A Patriot's Guide to Religious Freedom (God & Country Press), was published in 2013. I reside in North Middleton Township with my wife, Sharon, and we have three grown children, a daughter-in-law, and three grandchildren. I humbly thank you for electing me as your State Representative in 2010, 2012, 2014 and 2016.